All quality Toronto historical restorations have a number of things in common, including compatible replacement materials, properly cleaned joints, and extreme attention to detail when conducting any restorations. Restoring historical buildings is a tedious job that includes carefully preserving the value and history of a site. The overall goal is to add to building durability without changing anything about the site’s authentic history. The best restorations use as many of the original materials as possible so that the building lasts at least another century but looks just as it did when first constructed. Here are just 5 of the many things Toronto’s highest quality historical restorations have in common. In order to properly conduct historical restorations mortar is key. 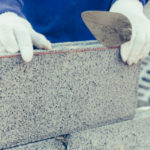 Mortar joints will eventually break down on any masonry structure and require repointing. 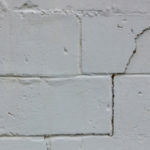 Lime mortars are not easy to use and it’s no simple task finding the perfect mortar mixture for a historical building. A lot of previous experience is required for a job well done. Mortar should never be stronger than it needs to be. It should be less strong than the masonry work and the same or less strength as the mortar it is replacing. Mortar should be permeable in order for water to dry within the joint bed instead of transferring to the unit itself. If the mortar is permeable the water will go here and stay here during freeze thaw cycles, this prevents water and harmful salts from getting trapped within brick or stone. 8-15% of mortar mixtures should be compiled of air in order to tolerate severe freeze thaw cycles. SA hydrated lime and mortars with specific sand specifications include air entrainment, which prevents damage to mortar. Mortars must be consistently batched and properly applied. Mortar should always take into account the worst possible weather conditions in order to outlast anything. Old buildings will undergo repointing at some point, during which time crumbling mortar must be thoroughly removed and cleaned out. 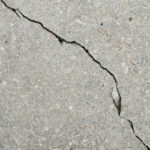 Old mortar should be removed at least 2-2 ½ times the width of the joint. This promotes a secure bond and helps prevent the possibility that the newly applied mortar slips out of place. The average brick joint requires 1-inch of mortar to be removed. You don’t want to take away too little but you also don’t want to take away too much. Using power grinders to clean out joints can be devastating to historic buildings. Quality historic restorations must remove mortar in the proper shape, which should be raked back in a perfect square. 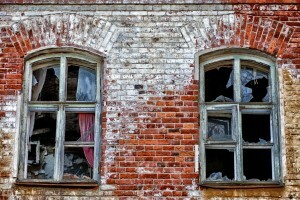 If bricks have deteriorated past the point of salvaging, replacement brick may be necessary. The key is to find replacement bricks that are the exact size, texture and color to match original work. Thankfully, we have connections with brick supplies that create a wide variety of bricks intended to duplicate Canada’s historical masonry work. This helps us find the right materials for every job, no matter what year your building was constructed in. A historic building requires special attention to detail and depending on the appearance of the building different processes must be conducted. Old tuckpointing styles were very popular in the UK, gaining notoriety in the late 1700’s. The art form pays special attention to detail and resembles tightly packed bricks held together by a very thin mortar. Bricks that are actually held together with a thin mortar like this are more expensive and must be the perfect size and shape. Tuckpointing allows the use of any bricks but still provides the same appearance. Older Toronto buildings that include this style of mortar joint must be carefully tuckpointed during restorations to prevent a real eye sore, or obvious change. A matched mortar must be inserted between recessed mortar joints. Then, a hydraulic lime mortar is used to blend in with the bricks and highlight the 4mm lime putty bead. The “tuck” is then properly placed on a scribed line and the excess materials are cut away for a flawless finish. In order to properly duplicate the original detailed tuckpointing we use the same tools from the past to get the job done just right. The rate at which new mortar dries and cures will impact how it reacts to freeze thaw cycles. Ideal curing conditions combined with low shrinkage, high quality mortar produces the best results. If new work dries too fast, also known as “flashed” it will need to be replaced as it will otherwise be prone to cracking, shrinking and may also separate completely from its backing. Also, if joints dry too fast they will look very pale compared with original mortar. New repointing requires about one week to dry, in other words it should remain moist but not wet for an entire week. Mortar always needs protection from freezing until it has completely dried and cured. 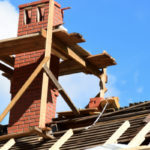 If you are repointing in the winter heaters and other tools may help, but the winter is going to be the most difficult time to take care of these repairs. At Turnbull Masonry, no matter what project we have in front of us we are committed to producing the best results possible. We love unique jobs that require a careful approach and high tech conservation techniques. These sorts of projects call for a number of tools and carefully applied procedures in order to get the job done right without taking anything away from history. When you need quality historic restorations Turnbull Masonry is here to get the job done on time, within your budget, and with an unmatched focus on preservation.